A blogger asked in the comments at Change blog background color and others: " I can't keep my font consistent throughout my posts...."
I suspect he is copy-pasting from MS WORD or some other word processor. When you prepare a document in WORD, it adds a lot of invisible formatting tags to the text that you type and when you copy-paste from WORD to the Blogger post editor, these formatting tags plays havoc and like the blogger above, the font can go "crazy". If you want something transferred from WORD to your Blogger post editor, first copy-paste from WORD into an ASCII editor like Notepad to strip over the formatting tags, then copy-paste from Notepad to the post editor. For years I am amazed at the generosity of Google Blogger in offering millions of bloggers this free blogging platform without asking for or expecting anything in return (other than the requirement to display the navbar which is never enforced). You can do many things with Blogger including putting not only Google Adsense ads in your free blog, you can even add competing ads like Yahoo Publisher Network. You can register your own domain and use it for your blog (custom domain) and Blogger will even host it free of charge for you. The display of ads seems random and I don't think that happens without fail. I have noticed this before but only chose to write about it today. I am glad Blogger is not forcing us to display their advertisements on our public blogs but choses to display their ads in password protected areas like our Dashboard which only we blog owners can see. and at the 5th item is a drop down menu to select your time zone. Ignore the rest of this post. At the "Edit Personal Information" page, tick [ ] Display all timezones and select your timezone. A blogger request help for removing the Header border (she called it title). This is easily done. Preview and if satisfactory, save template. A Blogger account is associated with a Google Account. Never delete your Google Account. 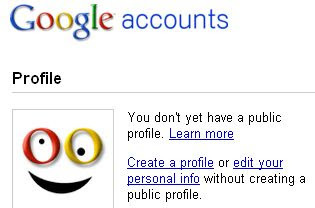 If you delete your Google Account, your blogs will become inaccessible to you. If you have accidentally deleted your Google Account, go to Google Account Help and fill in the form as soon as possible. Then pray. Acknowledgement: Thanks to Mishka for pointing this out. A blogger told me that some of his readers complained of seeing a horizontal scroll bar (at the bottom of the screen) while he himself found no issue. I am guessing that he must be using a fixed width template optimized for screen resolutions greater than those of his readers while he himself is using the wider screen so see no horizontal scroll bar. These are the standard screen resolutions - 800x600, 1024x768, 1280x1024, 1152x864, 1600x1200 (the first figure is the width) and fixed width templates are usually optimized for one of these. A few years ago, nearly all fixed width templates are optimized for 800x600 and visitors with 800x600 screen will see the whole width of the blog without any horizontal scroll bar while those with wider screen will likely complained of "wasted blank space" on one or both sides of the screen. This blog in fact previously used such a fixed width template (800x600) but because surfers with 800x600 screens and smaller have become a very small minority while the vast majority of surfers have 1024x768 screens and bigger. Thus this blog's template have been upgraded to a 4 column fixed width template optimized for 1024x768. Thus visitors with 1024x768 screens will see the blog fill nicely the whole width of the screen (with no horizontal scroll bar) while those with wider screen will again see "wasted blank space" on one or both sides of the screen. without the quotation marks into the address bar and press the ENTER or RETURN key). This appearance of the horizontal scroll bar is considered a nuisance and web designers will try to avoid this. However, since 800x600 screens are a very small minority, I feel fairly safe to opt for template optimized for the wider screen of 1024x768. I see that there are 35 followers of this blog on Blogger. If you happened to be a follower, perhaps you might be interested to know that while this is my first Blogger related blog, this is not my main Blogger related blog and is not updated often. The main Blogger related blog is Blogger Tips and Tricks of which the URL is http://www.bloggertipsandtricks.com/. The reason this is not my main blog is because the URL of this blog is http://bloggerfordummies.blogspot.com/" and the original title of this blog is Blogger for Dummies as the intention of this blog is to provide easy to follow and understand information and instructions. I was told a few months after this blog was created that "for Dummies" is trademark of Wiley Publications. I thus changed the title of this blog to Dummies Guide to Blogger but left the URL alone as this blog then already has many inbound links and a good PageRank. If you are following this blog but not following Blogger Tips and Tricks which is more frequently updated, may I suggest you add Blogger Tips and Tricks to those blogs you are following. Why can't I find my blog in search engines? and see if it results in anything. If nothing turns up, it means it had not been indexed yet. If it had been index, there would be at the minimum 1 result. Even after a blog is index, searches for the blog may result in a link at perhaps the 1001th page of the SERP (search engine result page) which obviously would be very hard to find. So what more can we say except, please be patient. 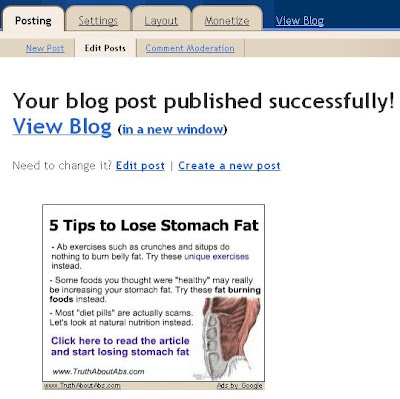 When this blog was first created in January 2006, it was intended to be a blog with easy to follow instructions for bloggers using the Blogger platform and the original blog title of this blog is Blogger for Dummies. That was until I found out "for Dummies" was a trademark of Wiley Publishing Inc. I thus created another blog dummies-guide-to-google-blogger.blogspot.com as an online book for bloggers, but because of various factors, that "online book" is still only a work in progress. However, you need not wait any longer for Susan Gunelius has beaten me to the task and now her book Google Blogger for Dummies is available from Amazon for less than $20. Sometimes I get funny requests, but more than a few times I have been asked this question - how to make images clickable. This is something I don't like to do, to use Blogger's post editor COMPOSE mode as I prefer to work in the post editor EDIT HTML mode for very good reasons and hope all you bloggers who are not familiar with that to start learning. It is not difficult and if you read the posts in my blogs, eventually you can pick up sufficient HTML to do lots of things. Back to the subject. After uploading the image while in the COMPOSE, grab (left-click) the photo with your mouse, hold it down and drag it around the post editor window. Then publish your post and test clicking on the image to see if it enlarge. Try it and please do let me know your results.